Laser is an acronym for Light Amplification by Stimulated Emission of Radiation. 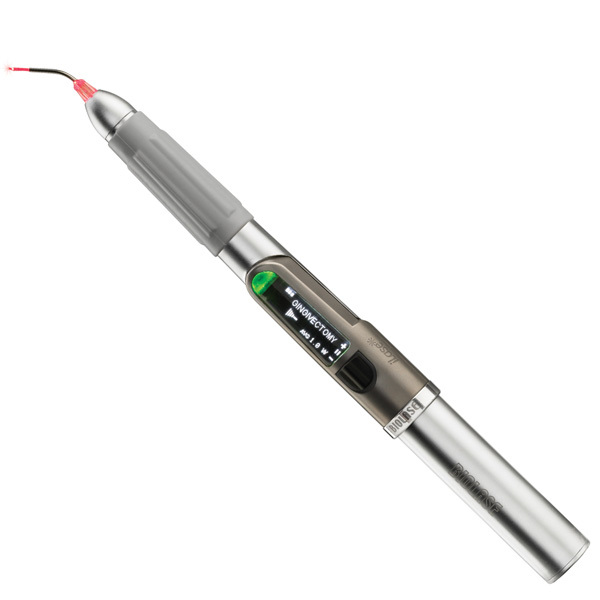 In essence, a laser produces a concentrated beam of laser energy that can be utilized in a wide array of dentistry procedures. Safety glasses will be used to protect your eyes from any harm. In many cases, the use of the laser instead of the drill or scalpel greatly reduces pain during the procedure. Depending upon what you need and your pain tolerance, anesthesia is sometimes even unnecessary! Reduces the occurrence of bacterial infections because the high-energy beam sterilizes the area being worked on. Lasers represent an innovative and precise technology for specific hard and soft tissue applications that will improve healing, reduce infection and generally minimize your time in the chair.